In the past, it was not easy to track the people who visited your sites but with Google analytics it is now very easy to track down the people who visited your website, what exactly they browsed and how much time they spent on your website. Google analytics comprises of keywords, written content, demographics details and other stuff, all of that is a large collection of data that sometimes confuses people about how this can improve their website. For a person who is new to this kind of stuff, there is chunk of information which needs to be used smartly. Here we have picked a few ways you can use Google Analytics for small business that will help improve your website. A lot of experts think that the bounce rate offers an important data. Suppose, we have Google Analytics for small business which depicts that a large percentage of your website visitors are getting away after visiting the first page. Then, we need to look into the bounce rates of it. We know this is a problem and we have to put the attractive resonating content and optimized words so that the visitors go further browsing because our goal is to keep the visitors on our website for a lot longer and attract him or her enough to make the purchase. Try the latest trends as the keywords and you will be getting a serious bounce rate. By using Google analytics for small business as well as a big company, one can analyze potential new markets for his or her company. It starts within the data as we have information of our website visitors who have interests in a particular field. Following their interests and traffic, you can help your small businesses grow and measure business results just by using Google Analytics smartly. If you feel that your website is having a large percentage of traffic from Asia or from Latin America, then it is easy for you to analyze a potential new market in those locations. Not only the click rates and the traffic bounce rate counts when it comes to improve your website through Google Analytics for small business, but the behavior also counts. People have different behavior when they visit your website. 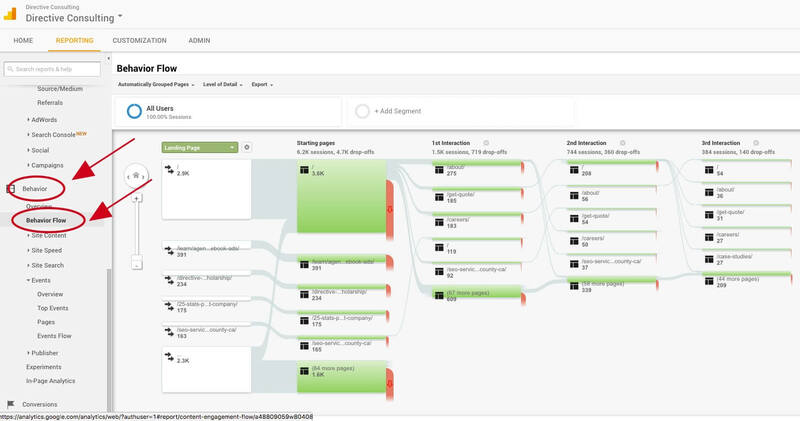 There is a behavior flow option in the Google Analytics from where you can get the visual representation of how a visitor is behaving or what is his/her intention based on the optimization. Like which pages has he or she been checking, browsing, or dropping for quite some time. Online business marketing tips include paid and organic traffic sources. Through Google Analytics for small business, you can easily determine which sort of ads have weight age and they work in your favor as well as what sort of blogs and organic sources of traffic has been attracting people to come visit your website. Such data can only be available to you through Google Analytics. So, make sure you do better in your ads and blogs to attract more people. Another interesting feature that comes in behavior flow is user flow. You know the people who visit your site have a particular behavior and interaction with the website that is how you determine what is it that people are liking most these days, which item has got the most likes and which has not grabbed the attention of potential users. So, what you need to do is understand what their consumer behavior is through Google Analytics before making changes. Make changes in the light of their consumer behavior for good afterwards. You can put something that can catch the attention of your potential customers and leverage their time on your website. Google Analytics for small business has made it very easy to know about your traffic, potential customers, their behaviors, and so on. Among them, there is a large percentage of traffic which log in to your website through mobile and some percentage log in from the desktops. It is important for you to decide which one you want to prioritize.If you have got a potential customer that are millennial's, then there is a chance that you should prioritize mobile option for business going forward.Also, you must adopt the optimization speed for mobile page browsing and high speed of loading too. Make your website responsive from mobile and desktop browsers as well. Google Analytics have got really smart options by which you can determine what are the keywords in a specific category that people are using these days to search. Apart from the trending SEO keywords, there is a large number of keywords one can view in Google Adwords that can be used in your website content to make it more appealing and better for your visitors. By identifying these keywords and adding them into your website’s written content, you are creating a really good content for your potential visitor. This must be informational and correct, and you will have much more traffic on your website than usual. Due to this Search Engine Optimization, websites are being ranked too. All the organic traffic data on your website comes from the Google Search Console in Google Analytics.Although this feature is optional and plenty of website owners overlook the importance of this feature by not enabling it. But once a website owner enables it, they get to see a lot of information about what people find in google search results before visiting your site along with the keyword performance. So,be sure to enable it to improve your website. A lot of people fail to improve their websites because they focus only on one page or one particular part of the website. The thing is you can’t have the perfect thing because you are not targeting just one potential customer, but you are targeting a whole community with a common interest. Also, when you specifically point to one thing over and over again you miss the bigger picture. 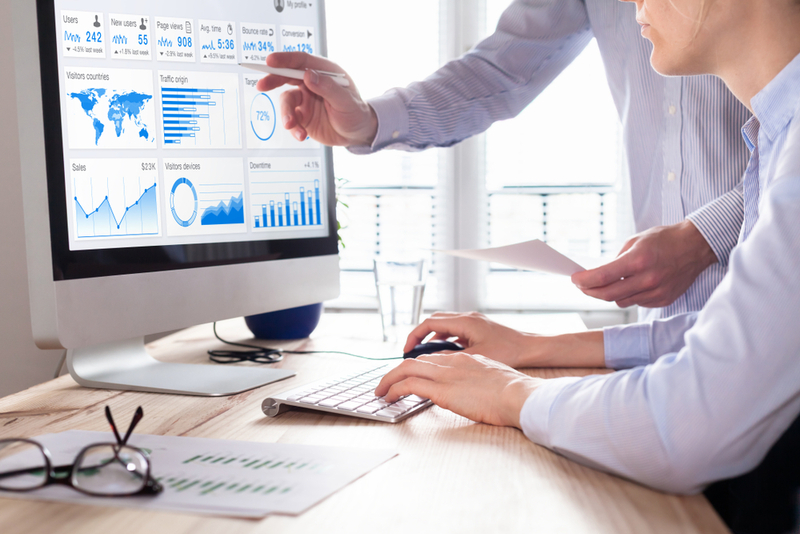 Google Analytics for small business provide a collection of data which can be interpreted through many ways and can help you grow business on multiple levels. So instead of taking advantage in one department, go big and apply different information in different departments and let’s get a high level of organized business setup with this information.